Halloween and the accompanying scary things, are causing issues for Daisy so this week we will be exploring Halloween with our 5 a day choices. Hopefully these will lead to some good scare eliminating discussions! 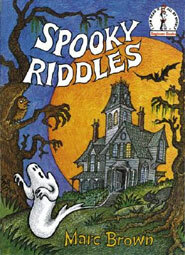 Halloween jokes and riddles are presented with witches, skeletons, ghosts and mummies. Some of the riddles may need explaining. I am hoping to do this without killing the humor! This a favourite in our home. 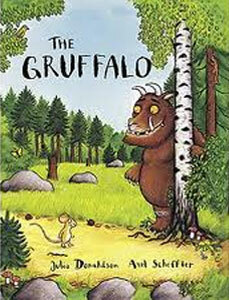 The Gruffalo is described in the same manner as the wild things in “Where the Wild Things Are”. The big bad mouse is so clever he manages to scare the Gruffalo enough so he does not get eaten. It is just scary enough to excite but not frighten. The Gruffalo’s daughter has been told the story of the big bad mouse and sets off to find it. 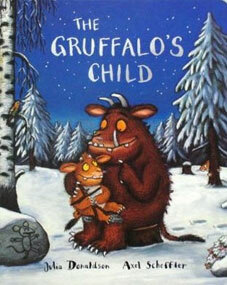 A brilliant sequel to The Gruffalo and does not disappoint. This fun picture book introduces some of the traditional scary Halloween characters in a non-threatening way. Can the little bat succeed in getting the pumpkin off the vine when bigger and stronger spooky creatures have failed? 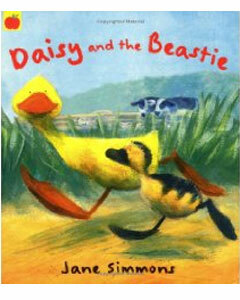 Daisy and her little brother Pip search for the Beastie around the farm. The beautiful illustrations build excitement and explore viewpoints. The Beasties end up being lots of fun to play with. 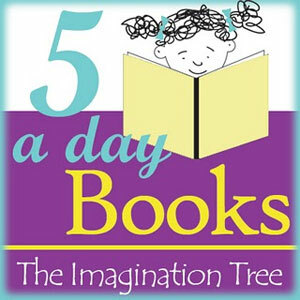 If you would like to participate in 5 a day Books, visit The Imagination Tree. What are you reading this week?